A lot of writers and experts in the photography world have been joining the chorus of “photographers should add video to their skill basket.” But, as far as business models are concerned, photography and video can be as different as sushi and gelato. So, before you jump head-on into video, consider my words of caution. What’s the context? I ran a photography and video studio for many years in Auckland, New Zealand. My experiences of seeing both services from a business point of view allows me to share some practical insights. While writing this article, I’m assuming that you are a practicing photographer yourself. Let’s first consider being a freelance videographer. I’m all in for photographers learning a possibly somewhat related skill of documenting moving images. But if you are offering your services as a freelance videographer to clients and other studios, I assume it means you don’t have enough good or interesting work to fill your plate as a photographer. 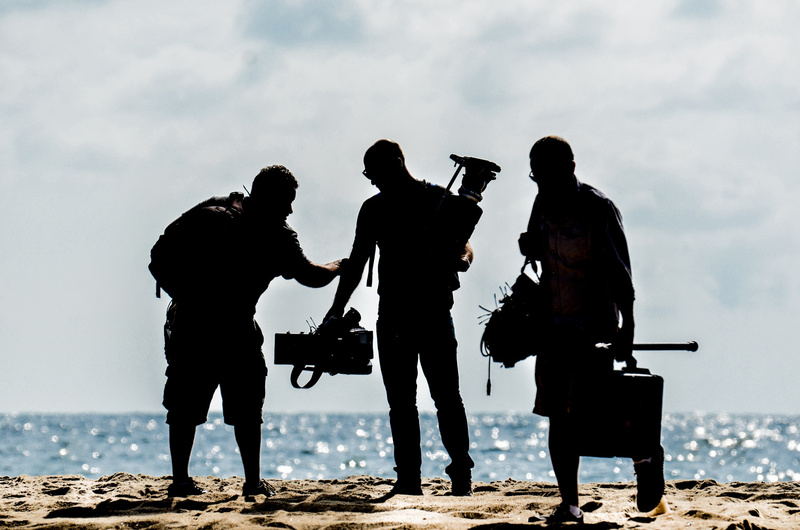 Consider if that is a big motivating factor to add freelance videography to your portfolio. 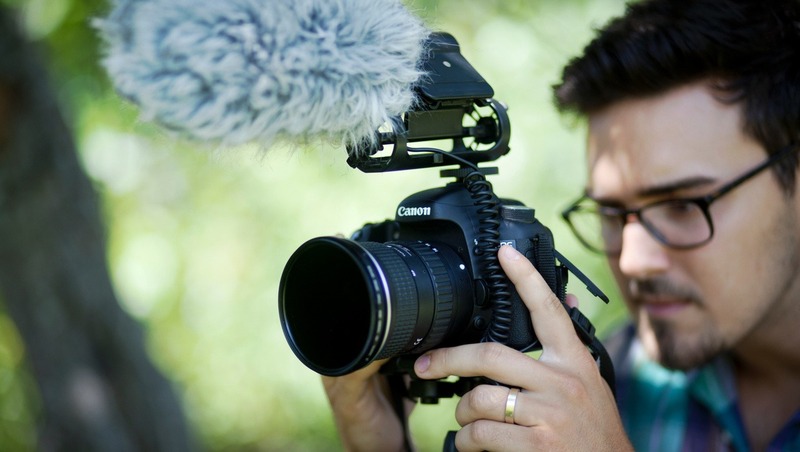 If that is indeed the case, consider the cost, effort, and time required to train and promote yourself as a videographer: you will almost certainly have to spend weeks, if not months training yourself on new equipment and software and spend a good amount of money purchasing or hiring the same. The opportunity cost is huge! I would instead (or at least before video), infuse the same resources into upping my game in photography: enroll myself into a digital marketing course, learn web development, join a business workshop, and most importantly, keep growing my skills as a photographer. 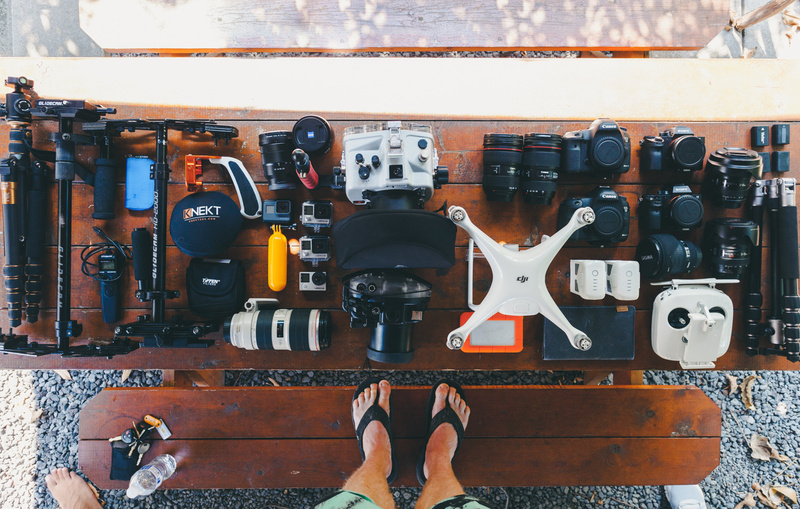 So, let’s say you've analyzed the opportunity cost and concluded that it’s worth putting those resources into videography as a business offering. Then, you must consider another strategic decision for your freelance brand. On one hand, adding videography to your personal brand will broaden your horizon and get you more clients. On the other hand, people will start seeing you as a generalist who can do a bit of everything at a mediocre level compared to someone who is an expert in one specific skill. For example, if you’re a social media marketer by day, having some skills in photography as well as video would certainly help. However, if you’re a full-time photographer or are trying to make it as a full-time photographer, being known as a bits-and-bobs creative may dilute your brand into the ground. Jim had contracted Ben as his second shooter for a wedding. Both Jim and Ben had been freelance videographers for a while. Jim: "Hey Ben, I’m going to be on the gimbal. Can you please get the wide shot for the first dance?" As the first dance finished, Jim spotted Ben using a telephoto lens with a monopod instead of the wide shot. Jim (with panic in his voice): "Hey, I thought you were going to cover the wide angle?" 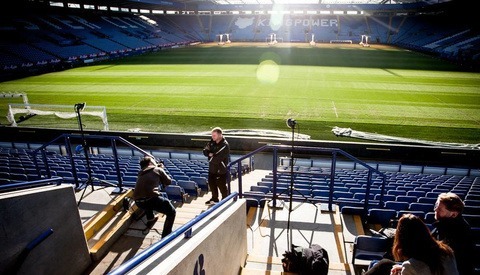 Ben (reassuringly): "Yeah man, no issues, I set up the wide shot with my 16-35mm on a tripod in that corner." Jim quickly goes over to the tripod to check the wide angle footage. Ben follows. Jim: "Oh yeah, um, wait a minute. What's this? Oh no, god noooooo! No, no no! Man, I asked you for one thing!" What went wrong: the tripod mounted camera in the corner went unnoticed by the crowd and an uncle of the groom wanting to get a “better angle” promptly stepped right in front of it to get some “nice” photos! This is not uncommon at weddings. Ben later tried explaining his actions to Jim saying that he usually sets up two tripods, one with a Gopro mounted as a “backup” shot in another corner at a height above the crowd, but as he was shooting for Jim, he didn’t have that extra equipment, and unfortunately, followed his usual habit, leaving the tripod unattended while he shot using a monopod. The blood was red. No, the blood was crimson. Red or crimson, result was the same: Jim was dead meat! If you have any related questions or comments about adding video to your set of offerings, fire those in the comments section below! Lead Image by Maddy Baker via Unsplash. Second image by Jakob Owens via Unsplash. Third Image by Stephane Yaich via Unsplash. «But if you are offering your services as a freelance videographer to clients and other studios, I assume it means you don’t have enough good or interesting work to fill your plate as a photographer». I would assume that the majority of photographers who are developing their skills in videography, do this because their happy clients want some small video projects as well – and not at least: that professional stills photographers really enjoy the learning process. In many ways it is quite a different ballgame – as any stills photographer soon will realize when trying to get quality audio recordings along with the moving image – but I'm afraid you miss the mark with that first theory. Would love to know more about how you arrived there. 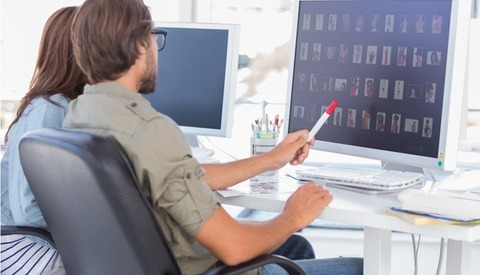 Because the reality is these days there’s just not enough work for photographers. Even seasoned pros are not filling up their week with photography projects. Their schedules are not choc-a-bloc. So adding video as an additional service completely makes sense. This is a good article but I think your assumption is off on this point. If I offered video services it would be via a partner who specializes in video. I think they are two different animals with two very different skill sets. Who exactly is your audience for this post? Because commercial shooters are almost expected to be able to offer motion at this point (either themselves or someone working with them). This hardly makes one a generalist, it makes one responsive to the needs of the client base that actually exists. I have a feeling you’re speaking to retail photographers, whose clients don’t actually know what goes into the work. I think that was his point. Doing it all yourself is presuming a huge amount of learning and experience that detracts from your core area of expertise. And there is no shortage of poor video and mediocre photography from "one source studios". Kind of like the DJs shooting weddings on the side. You being a photographer should have written an article against videographers trying to take photos or stills from the footage and offering them to clients. I have been a stills photographer for 40+ years. I have worked every day to improve my skills and to be able to handle any sort of stills challenge or opportunity that comes my way. I spent some time studying video production and have come to the conclusion that it is not for my studio. We are a premium studio working with very quality-sensitive clients. If we were to offer video services we would want to offer a level of quality that matches our reputation in the stills field. I have a great deal of respect for the real video pros who deliver top notch quality. It takes years to get that good. Jumping in and saying "we offer video" and then delivering mediocre product does nothing but tell the world you are a commodity studio. I feel the same way. It would take me as long to become as accomplished in video as I am in still portrait photographer...and I don't have that much time left. What this essentially means is that my video services will always be "second rate" compared to my still services. For personal reasons, I've gotten into one very narrow facet of video: Interviews. I've spent the last four years learning how to sit a person down and do a good video interview--and it's taken that long to get good enough at that one thing to be able to offer it as a limited service. In a real sense, it's really only a step removed from my studio portrait work in conceptual terms, but it's still a very different form of technical expertise. I have an entirely separate brand for my video production work. I didn’t plan it like this, but that’s what the market demands. About 5 years ago clients started asking if I did video. After declining the first few times I realized how much money I was leaving on the table considering the type of budgets some video projects require. A 7k photo job can can easily turn into a 20k job if you’re capable of producing high quality video content. Now my income is split almost exactly 50/50 between stills and motion. 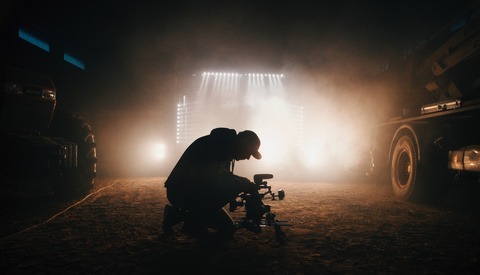 For many clients, it’s a prerequisite these days that you be able to offer some time of filmmaking services, even if you just end up subcontracting it under your brand. the second largest search engine in the world (YouTube) is a video streaming site that is owned by the first (Google). You’d be silly not to develop that skill set as many businesses (certainly quite a few of my clients ) have started prioritizing the video format. As an architecture photographer, it takes an incredible amount of effort to book good paying jobs. As a filmmaker I constantly have to turn down work because I get can often get overwhelmed with requests. You’re also neglecting the fundamental reality of the market. Photography is a saturated, overcrowded space at the moment. Even seasoned pros with decades of experience are struggling to book the same kind of gigs with the same kind of rates as in the past. If you can do video as well, it goes a long way towards making up that loss. Also For me personally, video has empowered me to have the security to decline work I would otherwise hate but would do for money. Nowadays I only take photography jobs that ignite my passion with clients I truly value, and I can afford to do that because on any given day, I can make 800- 1200 dollars as a freelance camera operator (no post required ) or because I have some active video projects with with budgets ranging from 10-30k. Also I think you overestimate the learning curve. It’s really not that hard. The hardest part is developing an eye for story in the edit. And chances are you already own a camera and lenses that can shoot in high enough quality for most jobs. The generalist vs specialist argument doesn’t hold much water for me. If you’re driven and hyper focus on learning both skill sets of video and photography you can be a specialist in both. I know for me personally that’s exactly why I’m so busy, because I do a good job in both fields. In fact, I’d consider myself a specialist in many other fields too, and so do my clients. In this day and age I’ve found it quite advantageous to specialize in many fields as a freelance creative. When you put all your eggs in one basket you limit your work opportunities, in my opinion—particularly as a freelancer. The added benefit of specializing in many things is that every job is new and unique. Not only do you stay busier, but you also keep yourself engaged and excited by not rinsing and repeating the same thing over and over again. Video is a different game sure, but totally worth it going forward. Just choose whatever you’re most passionate about. But do it with your eyes open.